Does this image scare the pants off you? 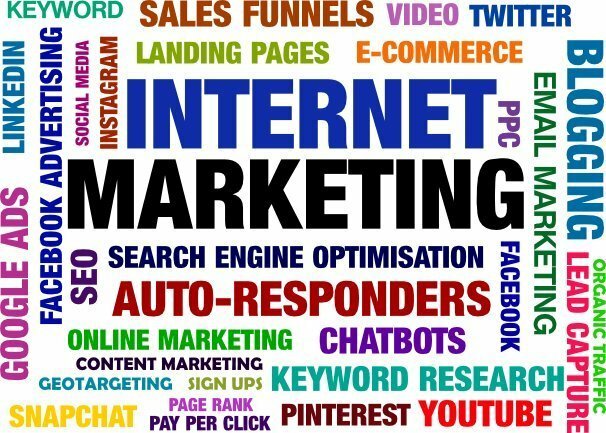 There’s no escaping the fact that if you want to attract new customers or clients to your business then, at some point, you’re going to have to turn to the online world and internet marketing. But when you start to look into it you’re presented with all these words and phrases and it’s like blah, blah, blah, my brain’s hurting, I’ll come back to it another day. Well if today is that day then you’re in luck because you’ve just found somebody who can help you to make sense of it all. Call me a geek, call me a nerd but the bottom line is that I’ve got 30 plus years of online experience behind me. Experience that I would gladly share with you. Think of me as your online marketing guide, somebody who can help you through this maze, bring clarity and ultimately help you to find growth in your business. I’d be the first to admit that I’m not a salesman so don’t panic, I’m not about to get all salesy on you. I’d just like to share my knowledge with you and to give you some plain, easy to understand advice that will help your business to grow. Why not start today by scheduling a free 30 minute call with me so I can learn more about you and your business and see how we can work together to find you new customers or clients. Jerry has built me a great website. This happened not just because Jerry is really good at what he does, but because he’s keen to work with you to build the site of your dreams, not just knock up something quick and take your money. Because of Jerry I have a site that does so much more than I even realised it needed to do – it’s fast, it loads quickly, it’s got all the right plug-ins, it’s secure and it meets GDPR and privacy requirements…none of which I was thinking about, I just wanted it to look good! Jerry will help you get what you want because he will ask all the right questions, helping you to be specific and focus on what you need in order to get up and running. He is quick to reply to emails and no question is too small or to silly for him to give it his full attention. Thank you Jerry, you are a wordpress wizard! After a few years of failed websites by various people Bubyli have finally made my dream come true. From the consultation to design and the finished product they have provided me with the website which I asked for and the customer service was fantastic every step of the way. Extremely professional service and it does not break the bank! Highly recommend. Sign up to receive occasional emails providing you with the latest internet marketing information. Thank you. Please check you email. I use MailChimp as my marketing platform. By clicking above to subscribe, you acknowledge that your information will be transferred to MailChimp for processing. Learn more about MailChimp's privacy practices here.